Should I take Healthy Knees & Joints* if I’m already taking Curamin®? Some people prefer to use Curamin first, and then either switch to Healthy Knees and Joints for ongoing support or continue to use Curamin along with Heathy Knees and Joints. * Either option is appropriate; it is a matter of personal choice to get the best results for you. Why is the boswellia screened to reduce beta-boswellic acid? While most boswellic acids are associated with positive benefits, not all of them truly are best when you’re trying to support an active lifestyle. Ensuring at least 10% or more beneficial acetyl-11-keto-β-boswellic acid (AKBA), and reducing beta-boswellic acid content provides much greater benefit than standard boswellic extracts, some of which have up to 15-25% beta-boswellic acid! What is fructoborate? Is it just the same as boron? I’m a fit 23-year-old girl. 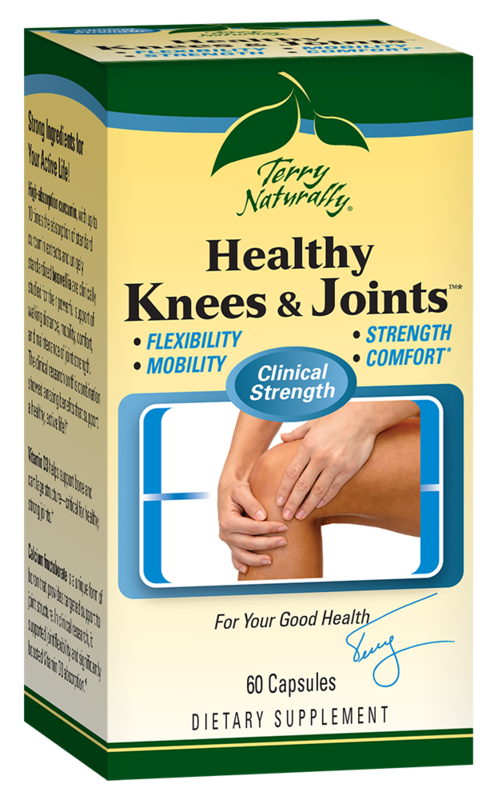 I bought Healthy Knees & Joints, and after the first few days of taking the vitamins my knees felt great! I’ve gone into other vitamin stores but was quickly turned away due to my age and was told to go do more stretching. I’m so thankful for Terry and his team. I am more energetic at work and I am going to the gym more. Thanks Terry. Curamin is a marvelous help and Healthy Knees & Joints is also a wonderful complement to it. I've added many other of your products to my daily regimen. Thank You for all your writings and promoting quality supplements. I wish to live healthy naturally.